Landings of wild gulf brown shrimp are about 30% lower than normal this year. Excess rains in the spring throughout the gulf coast are likley to blame. Do you remember the devastating heavy rains and flooding in Houston and Baton Rouge this spring? All that water flowed into gulf bays and estuaries and forced baby shrimp into deeper water sooner than normal. The small shrimp were easy prey, and the shrimp did not get the nutrition they need. 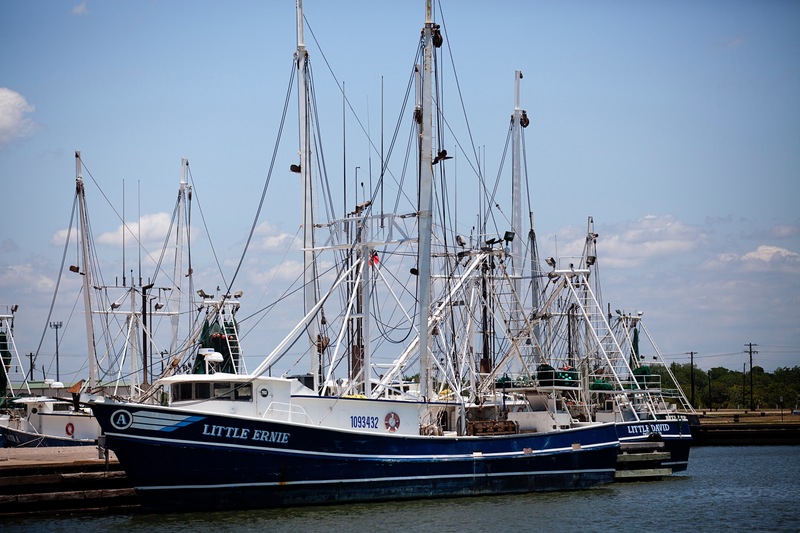 Gulf shrimp boats are catching smaller and fewer shrimp than usual. This means higher prices and smaller wild gulf shrimp this year. The good news is that shrimp is an abundant annual crop, and next year should be better. Copano Blues shrimp are grown in the perfect environment for the species. Copano Blues shrimp sizes and prices are not affected by the heavy rains this year. Always natural, always delicious, Copano Blues. Is there water added to your shrimp?